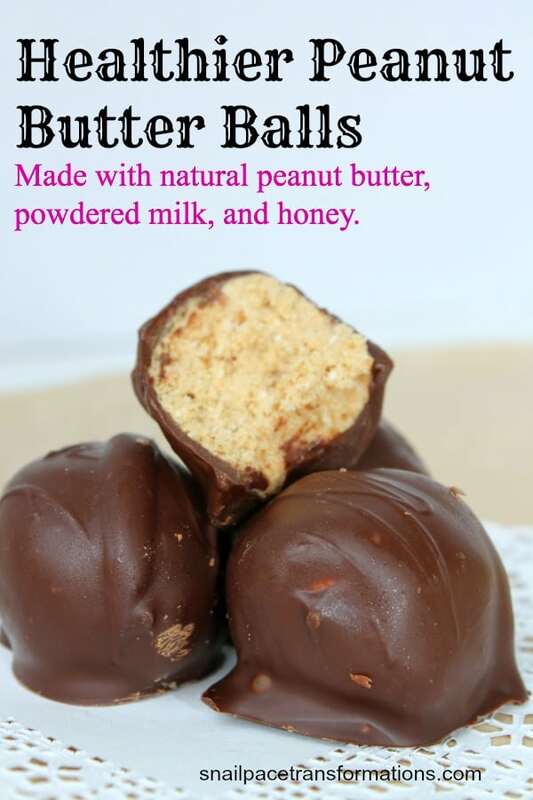 These peanut butter balls are made with 3 ingredients that you do not have to feel guilty about, natural peanut butter, powdered milk, and raw honey. 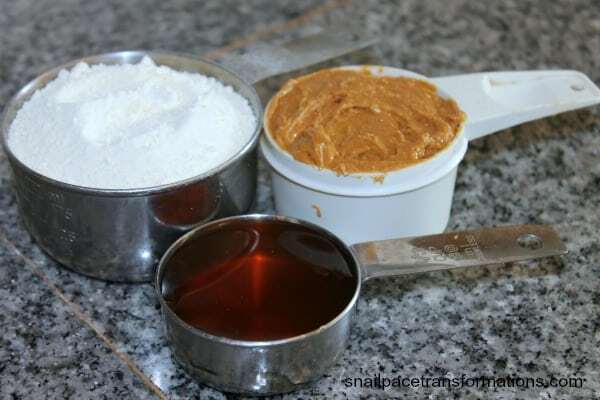 When I say natural peanut butter I am talking about the kind that has nothing but 100% peanuts. I have seen some brands making claims on their labels that they too are natural only to read the labels and find they have added sugar and oils. 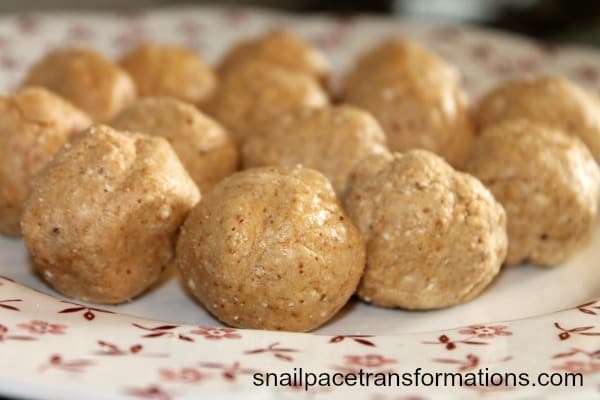 These peanut butter balls take just a few minutes to make and a few more minutes to dip in chocolate if you desire (I so desire). 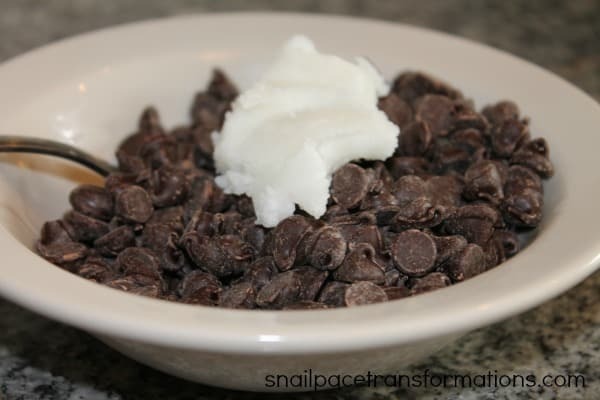 To make the chocolate dipping sauce all you need to do is add a tablespoon of coconut oil (butter works too) to a cup of chocolate chips and melt them in the microwave. I set my microwave on high for 30 seconds at a time and then take it out and stir it. It takes about 3 times to get it to a smooth thick chocolate sauce perfect for dipping. These were one of my favorite treats as a child. My kids love them. They were standing only inches behind me as I took the pictures of these treats so that they could dive in and devour them the moment I was done. YUM! I need to try these out. Chocolate + peanut butter = amazing! And it helps they are a “healthier” recipe. Thanks for sharing! 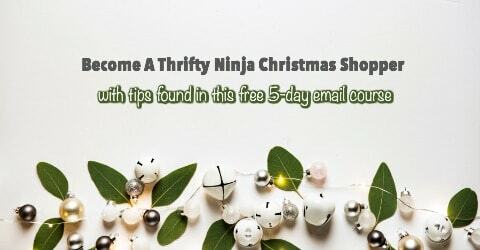 I found your recipe on the Titus 2sDays link-up. I make the unhealthy version of these every year for Christmas. We give them as gifts. I’m loving that you made this healthier! I’m definitely trying it, even if I just do the healthy version for my own family. Thanks for sharing! Thanks, I hope your family enjoys them as much as ours does. Yum!!! These are such a fond childhood memory of mine! My mom’s recipe was nearly identical but she also added wheat germ. These sound yummy! Do you know about how many the recipe makes? Depending on how large you make them I would say between 12 to 14. It looks so nice! thanks for great recipes!